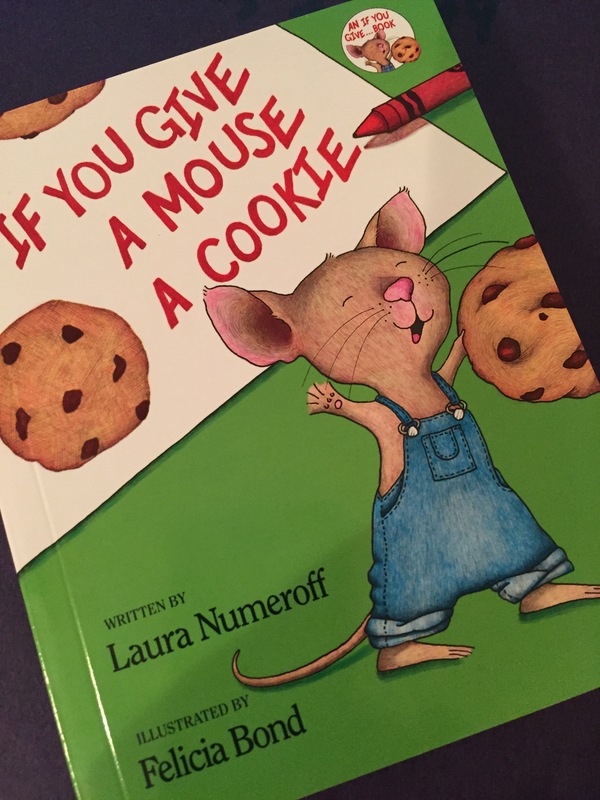 Remember the book, “If you give a mouse a cookie?” Yes? Then let me tell you about my day. I start the morning by emptying the trash cans around the house. As I grab the trash from the laundry room, I notice the clothes on the nifty indoor clothesline are dry. So I take them down, put them in a basket and head toward the bedroom to dump them on the bed. Oh, but wait. The bed’s unmade. I probably need to make the bed before dumping the clothes on it. So I make the bed, dump the clothes, sort them, and put them all away. While I do that, I recall how droopy the clothesline is in the laundry room. I investigate and decide it needs tightened, so I do that. While I’m there, I decide to put another load of clothes in the washer and notice we’re almost out of homemade laundry detergent. I stop to dilute more and glance over at the dryer. Hey, we’re almost out of homemade dryer sheets so, yes, I dig out the scissors, the essential oil and other ingredients and make them! While I’m in the storage room anyway, I notice the new 15-roll pack of paper towels, so I unpack and stack them neatly in the closet. A little later, I’m backing the car out into the driveway and notice it’s time to change the current John Denver CD to a John Denver Christmas CD. I take care of that little tradeoff, but, to get to the CDs, I have to pass the kitchen. I notice the dishwasher is ready to go save for my morning coffee cup, so I slip that in, reach for the detergent (there’s plenty so I don’t need to make any. Yay.). My gaze lands on the mail sitting on the counter, Visa bill front and center. I decide to go ahead and schedule that payment now; I mean, why not? Sitting at the computer, I gaze out the window and notice the four evergreen bushes in pots waiting for a permanent home. I’ve been meaning to plant them for weeks, and now it’s almost December! I do a quick google search and discover it’s not too late for that. I grab the shovel, wheelbarrow, gloves, and topsoil and start digging. Before long, I’m satisfied by my four settled, fertilized and mulched evergreens. By the way, did I mention a city waterline broke this morning and we’ve been without water since noon today? Lesson learned today: I’m never going to empty the trash again! But I am grateful for one thing: While performing my chores around the house, I discovered my wife has an extreme sense of duty and loyalty to tasks to which she has committed. She worked steadily at the computer today for over 10 hours (NO exaggeration) on the classwork for the course she’s currently teaching at a local college. Her steadfast devotion to her commitments is inspirational and I’m grateful to have a wife who has these traits.